MICHELLE SCHLICHER grew up in the Midwest. She attended the Greenlee School of Journalism at Iowa State University, but her love of writing came much earlier than that. Michelle wrote her first novel in fifth grade at recess. That story was lost and has never been published. From there, she wrote short stories about vampires, babysitters and summer trips. After the birth of her second child, she decided to write her first grown-up novel and published her debut, The Blue Jay, in 2015. Gracie’s Song, Come This Way and Me & Milo the Great followed. Michelle lives with her family in a suburb of Des Moines, Iowa.  Stack of books image by Freepik. Are any of your books based on true events? My personal experience as a mentor gave way to the initial idea of The Blue Jay, but the story is not based on actual events. That book, being my first, has the most snippets from my life. There are so many! Most recently, Madeline Miller has become a favorite author. In the past year or so I’ve found quite a few books to inspire me, including Americanah, The Seven Husbands of Evelyn Hugo, The Witch Elm, The Leavers and Circe. I don’t know what advice I would have that’s any different from anyone else. If you want to write, the most important thing is to sit down and write. It also helps to start with a story that means something to you. When the hard writing days come, and they will, knowing you care passionately about your book’s message does help pull you through. Yes and no. When I begin a story, I usually try to write every day so that I can keep things moving in my head. Because I don’t outline, I want things to feel as seamless as possible. That said, I try not to force it if the story isn’t coming to me. When I’ve finished a draft or for whatever reason am taking a break from a book, I don’t force myself to write. I’ve got ideas running all the time and I jot down ideas, but you have to use a different part of your brain for the marketing side of things and when I’m in the middle of that stuff I find it hard to be inspired. You should do what feels right. Every writer has their own process. What works for me might not work for you! What are you currently working on? When will it be released? In early 2019, I will release my fifth contemporary novel, The Way of Lessons, and my first-ever children’s book, A Gnome Story. What can you tell us about these books? The novel includes the most perspectives of any book I’ve written, and I try to touch on current social issues. The children’s book is something I’ve always wanted to do, and with my girls the ages they are, now seemed like the time to do it. The concept of a garden gnome being a central character was an idea my designer had that she brought up at a meeting brainstorming my novel cover. She wanted to design something, but she needed a story. When she looked at me and said, “Well, you could write it,” I knew this was my chance to go after another one of my goals. I went home and wrote the first draft of A Gnome Story that same night! You can find Michelle at the social pages below.